Ever since Ukraine declared its independence in 1991, Canada has been a leading supporter of the country's nascent democracy. The Canadian Bureau for International Education (CBIE) has partnered with the Canadian government in support of civil society development and public sector reform since the early days of the new Ukraine, through the Orange Revolution, to the present day. CBIE's membership comprises 150 educational institutions across Canada, many of which have provided expertise to capacity-building programs in Ukraine. Increasingly, these institutions are keen to reach out to Ukrainian counterparts to undertake collaborative research, exchanges, and other types of mutually beneficial partnerships. This week a group of 15 senior education leaders arrives in Kyiv for a series of events that will bring together top institutional administrators from the two countries. Canada's Ambassador to Ukraine, His Excellency Troy Lulashnyk, will launch the mission during a seminar hosted by the Union of Rectors of Higher Educational Institutions of Ukraine. Rectors of major Ukrainian universities and senior education officials from Ukraine will participate. "CBIE's mandate is to build bridges between Canadian educational institutions and their peers in key partner countries," said Karen McBride, CBIE's President and CEO. "Our mission to Ukraine aims to deepen academic collaboration in ways that effectively underpin our nations’ broader bilateral relationship, for example, supporting innovation in agriculture, energy, and natural resources." The mission will be co-led by Ms. McBride and by Dr. H.E.A. 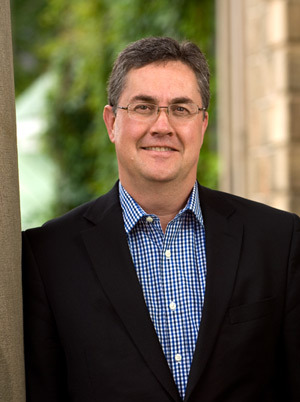 (Eddy) Campbell, President and Vice-Chancellor of the University of New Brunswick. "Our countries have a privileged relationship, based on shared history and a 1.2 million-strong Ukrainian diaspora in Canada," Dr. Campbell said. "My colleagues and I are eager to have discussions in Kyiv and Lviv that will expand our existing connections and open doors to enhanced people-to-people ties." Several Memoranda of Understanding will be signed during the mission, including an overarching agreement between CBIE and the Union of Rectors of Higher Educational Institutions of Ukraine. CBIE is Canada's national organization dedicated to making Canada a global leader in international education by mobilizing expertise, knowledge, opportunity and leadership. CBIE's pan-Canadian membership comprises 150 colleges, institutes, universities, school boards and language schools that enroll over 1.2 million students from coast to coast.